Hello friend, today we will discuss how to auto reply in WhatsApp. WhatsApp is the most popular social media application. WhatsApp has billions of users. Sometimes you were unable to answer all the users at same time. Then setting up predefined answers to these common questions on WhatsApp can help the business going.Sending an automated reply to WhatsApp message creates a better impression in customer's mind. There is the best way to auto-reply messages in WhatsApp. 1). 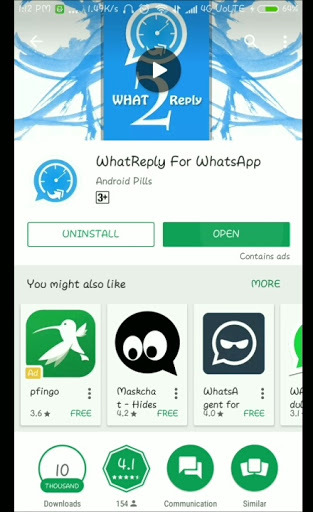 Firstly, you will download and install the WhatsReply app. You can download this app from Play Store. 2). Now open the app and follow below steps. 3). When you open this app it automatically asks for permission just enable it. 4). @ It's a button you know that, which turn on and off auto-reply option. 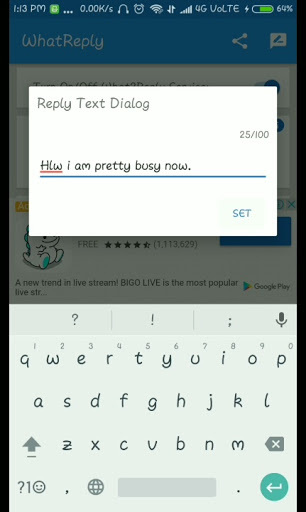 @ It's the text, sent when you offline and auto reply must be enabled to send. You can edit the default text or add your own text. @ The Time interval to send the auto reply message. For example - "X" message you 'hlw' auto reply app send the message( hlw, I am pretty busy now). If "X" message again in 10 seconds, auto reply app won't sent the message again. @ If you enable auto reply for groups, then auto reply app will send the message to groups. I suggest you to off that option if you have many groups. 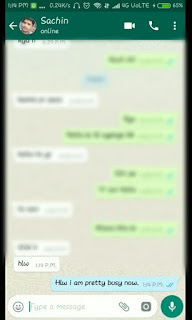 So, friends, this is the simplest way to auto-reply messages in WhatsApp. 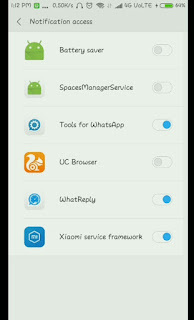 Also read, "How to Enable WhatsApp Chat head"